A fortunate survivor of WW2. Ordered by and delivered in August 1939 to a Mr. J Brock of Plymouth who owned and operated Milbank Rinkeries (ice rinks) in Plymouth. 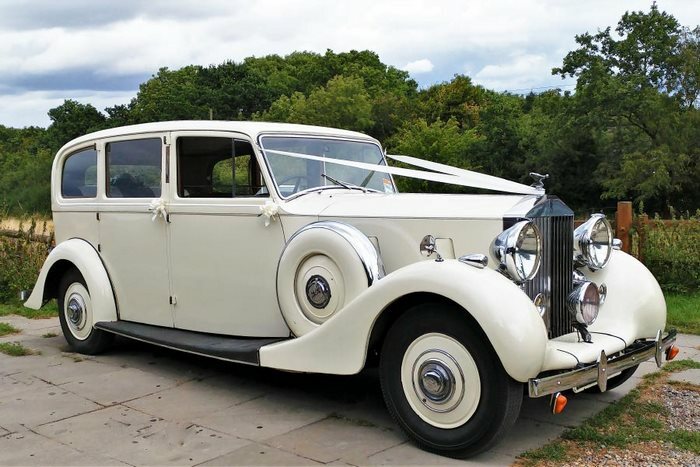 Upon the outbreak of hostilities with Germany in September 1939 petrol became rationed (known as “pool petrol” and not of particularly good quality), Mr. Brock therefore did not use the Rolls very much periodically leaving the car in a garage at the ice rink. One evening in September 1941 Mr. Brock decided to take the car home from her storage at the rink, upon returning the following morning he discovered an overnight German air-raid had resulted in a direct hit on the rink which also destroyed the garage where the Rolls would have been stored. 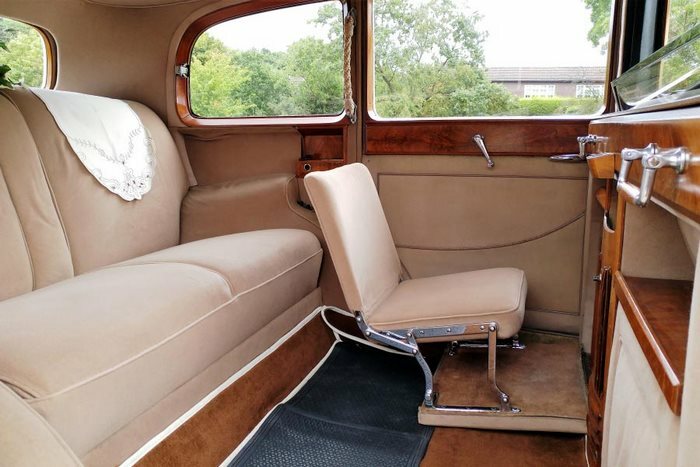 This limousine has occasional seats taking the capacity to six if required, she benefits from a light, airy and very capacious interior correctly trimmed in a light beige West of England cloth complete with walnut furniture cappings and central drinks cabinet.